On-demand primary and secondary labeling with integrated variable data and AIDC applications have never been easier. 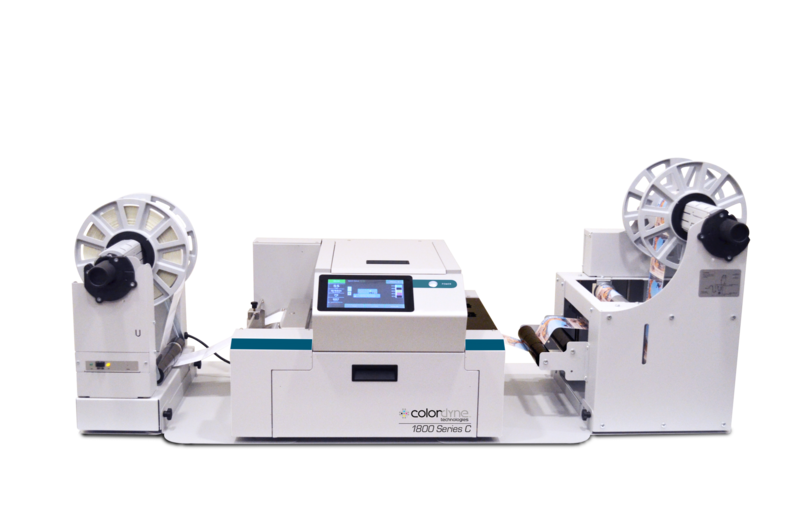 Colordyne’s latest digital printing platforms offer fast, high-quality and scalable solutions to reduce costs and eliminate pre-printed label inventories. The 1800 Series C offers enhanced versatility and performance with its flat, unobstructed printing path and on-press user interface. Brand owners, private label manufacturers and print providers can produce the exact quantity of high-resolution process color labels and tags the job calls for, large or small. The 1800 Series C can be easily set up and monitored during production from its 7-inch touch screen display with frequently used printer functions. Monitor printer status, ink levels, job status and more. Plus set application formats on screen, including: roll-to-roll, roll-to-cut and fan fold; making for quick set-up and change-over between jobs.